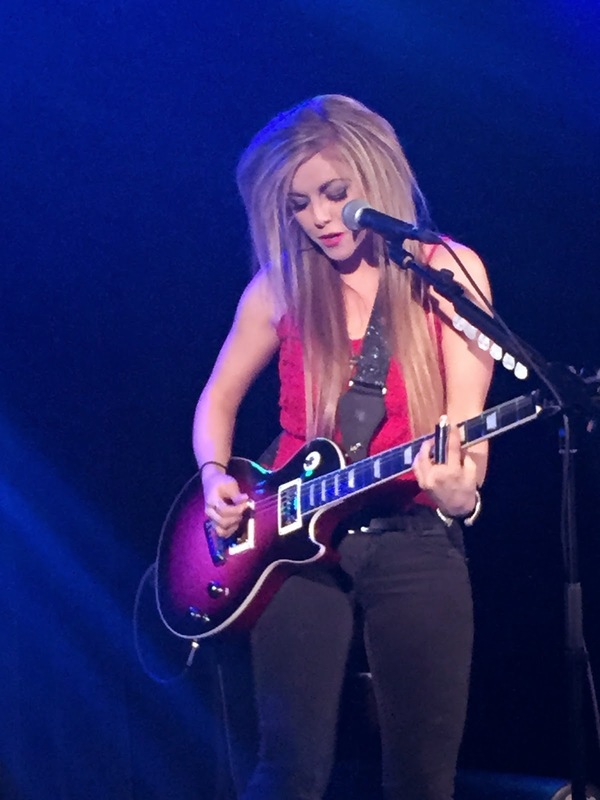 Lindsay Ell was born to play guitar, has been schooled at the prestigious Berklee College of Music in Boston and received considerable praise from across a wide spectrum of the industry for her playing skills. Observing Lindsay at close quarters reveals an artist engrossed in her craft and totally dedicated to presenting a gifted talent to an appreciative audience. Yet there was something missing from this seventy minute performance which left you scratching your head in puzzlement as to who Lindsay Ell is and where her music heading. There was no denying her love of classic blues rock and when commissioning a full frontal attack on this style with guitar wielding sidekick Brian Smith then you felt Lindsay hit her comfort zone and perhaps found her true mission. However this was too often punctuated by a bland attempt to mix in lacklustre pop which lacked soul, impact and ultimate belief. In contrast to Lindsay last playing to a packed Institute venue in Birmingham when opening for The Band Perry in 2013, this time her headline tour limped into a sparsely populated O2 Academy, thus possibly aligning with the dearth of recorded material found within her digital profile. Lindsay did conclude her set, which surprisingly did not feature the ubiquitous encore, by referring to copies of a newly recorded EP for sale, but how much beneficial would it have been to attach a tour to a record to aid promotion. Despite being signed to Stoney Creek Records and filtering a couple of videos to the online community, the road to a full length record appears slow. Further investigation into Lindsay’s past reveals details of indie recordings and surely an artist finding her feet in the mainstream world should be steadily compiling a recording catalogue to back other areas of promotion. Amongst the songs that did contribute to her set were the well-received single ‘Shut Me Up’ and the excellent ‘Don’t Take Me Home’. Also there were a couple of impressive solo numbers that formed part of the segment when her two band partners briefly left the stage in ‘Criminal’ and ‘Not Another Me’. In the performance of these, and the Stevie Nicks/Dixie Chicks standard ‘Landslide’, we got a brief glimpse into who Lindsay is and her upbringing in Alberta, Canada. However these moments of artist-reviewer connection were rare and probably culminating in the ultimate conclusion of a performer not quite matching their unquestionable talent with a rounded and thoroughly engaging live music experience. 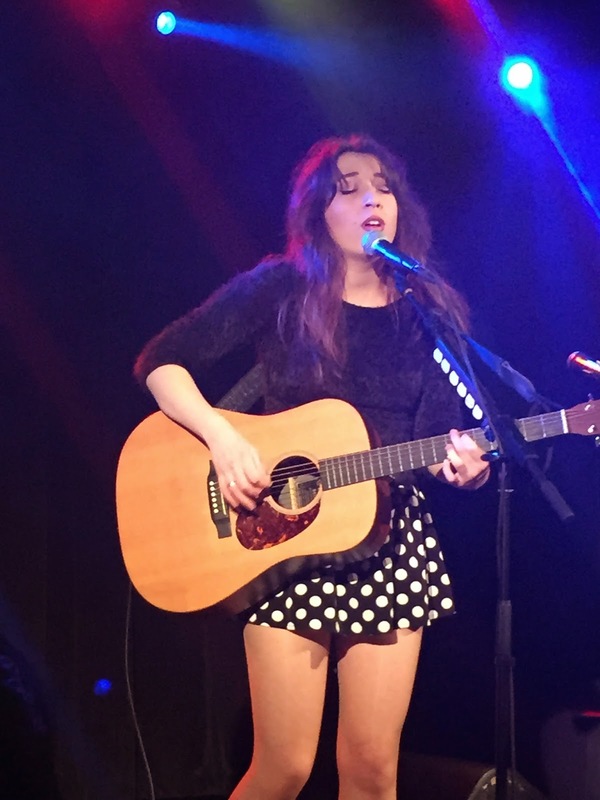 On the other hand, opening for Lindsay on this tour is a vivacious and bubbly English singer-songwriter in Sasha McVeigh who is totally focussed on making waves in the music world and knows exactly where she is heading. Presently this is a lot higher profile in the US where she rubs shoulders with the Nashville elite via slots on leading stateside events. Recording wise, Sasha proudly hawks around her highly appealing six-track EP and her debut full length record is merely weeks away, all done on a limited and independent budget. Sasha primarily filled her thirty minute set with self-penned tracks highlighted by ‘No Strings Attached Romance’, ‘I Should Have Realised’ and ‘Someone to Break My Heart’. Although her cover of Zac Brown’s ‘Chicken Fried’ had great merit, there is a school of thought suggesting the theory of confining such a limited time to original material. However Sasha is keen to develop as an entertainer and probably sees this as a useful tool in embracing customer preferences. With Sasha returning to Birmingham in April as part of an eagerly awaited co-headline tour with Sonia Leigh, her short term career development is likely to be very much observed close at hand and it is hoped that she manages to evolve in a way as to differentiate a little from the quagmire of country pop that is growing in this country. 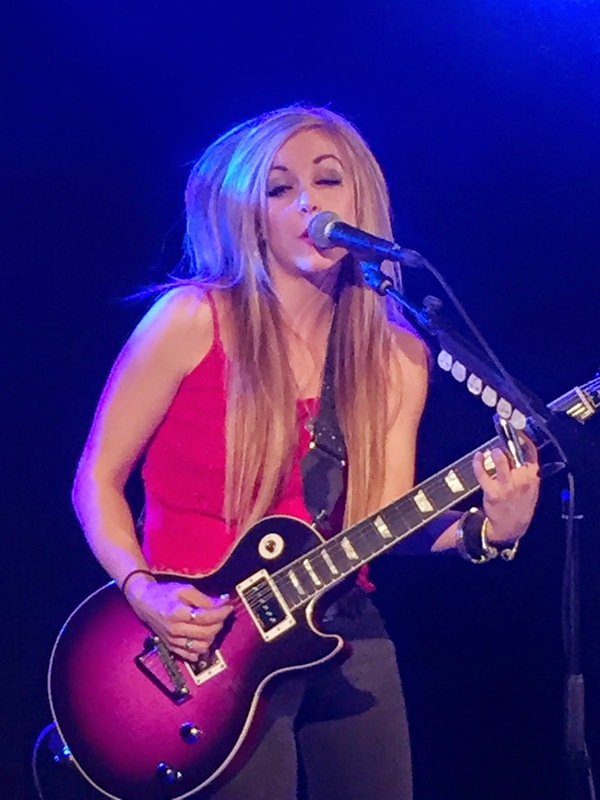 Of equal curiosity is where the talents of Lindsay Ell finally find a home to enable a curated blossoming and end the limbo status that is perceived at the moment as evidenced in this exposure to her.